Established in 1996, the Marilyn Baillie Picture Book Award honours excellence in the illustrated picture book format. Congratulations to author Paul Harbridge and illustrator Matt James, whose picture book When the Moon Comes has been named the recipient of this prestigious award! Congratulations to Janice Lynn Mather, and Wab Kinew and Joe Morse! Learning to Breathe and Go Show the World (their respective books) were both nominated for Governor General’s Literary Awards. Congratulations to Susin Nielsen! 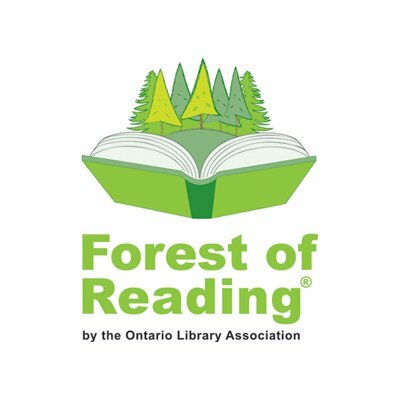 The acclaimed author's most recent YA book, Optimists Die First, has been nominated for an Ontario Library Association White Pine Award. The novel, which published with Tundra Books in February 2017, received starred reviews from The School Library Journal and Kirkus Reviews. The White Pine winner will be announced June 7, 2018. Fans of A BLADE OF BLACK STEEL and A CROWN FOR COLD SILVER will be thrilled to hear that Alex Marshall's A WAR IN CRIMSON EMBERS, the last title in the Crimson Empire trilogy, was published in English last week! In more great news, three Cooke International titles are celebrated on NPR's Best Books of 2017 list! Congratulations to Scaachi Koul for ONE DAY WE'LL ALL BE DEAD AND NONE OF THIS WILL MATTER (Doubleday Canada), Sofia Samatar for TENDER, and Kij Johnson for THE RIVER BANK! Globe & Mail's 100 Best Books of the Year list is out, featuring TEN Cooke International titles from several of our clients. The selection covers a wide variety of genres and topics, from literary fiction, poetry, non-fiction, and more! highlighting 30 books by Canadian authors coming out before the end of the year. The list featured several Cooke International clients!